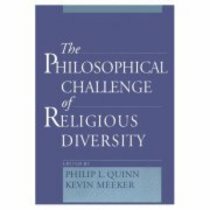 This anthology collects some of the best recent work on the philosophical challenge of religious diversity to religious belief. It features contributors from philosophy, religious studies, and theology and is unified by the way in which many of the authors engage in sustained critical examination of one another's positions. Positions represented include religious skepticism, exclusivism, inclusivism, and pluralism. About "Philsophical Challenge of Religious Diversity"